SINGAPORE (July 19): Land transport engineering solutions and systems provider Wong Fong Industries has launched an initial public offering (IPO) of 43 million new shares on the Catalist board of Singapore Exchange (SGX). Each new share is priced at 23 cents, according to a press release on Tuesday. Based on the issue price and the total issued share capital of 235 million shares, the market capitalisation of Wong Fong Industries will be approximately S$54.1 million. The group intends to use the net proceeds of approximately S$8 million to expand and diversify its operations and product offerings, enhance service and production facilities, develop new products and services, as well as for working capital and general corporate purposes. 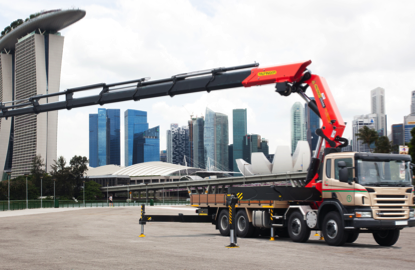 Moving forward, the group expects healthy demand from both the construction and logistics industries in Singapore. In addition, the group believes that the introduction of the new Automation Support Package will also drive demand for the group’s goods and services. The group recorded earnings of S$5.6 million on the back of S$77.6 million in revenue in FY15. Cash and cash equivalents stood at S$16.4 million in the same period while net cash from operating activities was S$10.9 million. As at 15 June 2016, the group’s order book based on confirmed sales orders was approximately S$42.0 million, comprising S$30.0 million to be completed in FY16 and the balance in FY17. Founded in 1964 by Executive Chairman Jimmy Lew, Wong Fong operates in four main segments comprising Equipment Sales, Projects, Repairs and Servicing, and Training. In addition to its operations in Singapore, the group also has a presence in Malaysia and China. Wong Fong says its customer base comprises government agencies, small and medium enterprises as well as multinational companies from industries as diverse as infrastructure development, logistics, waste management, and defence. The placement will close at 12pm on July 26, and the listing of shares on the Catalist board is expected to commence at 9am on July 28.